Willie Harcourt-Cooze serves up an inventive dessert of chocolate mousse domes with a liquid raspberry coulis centre. 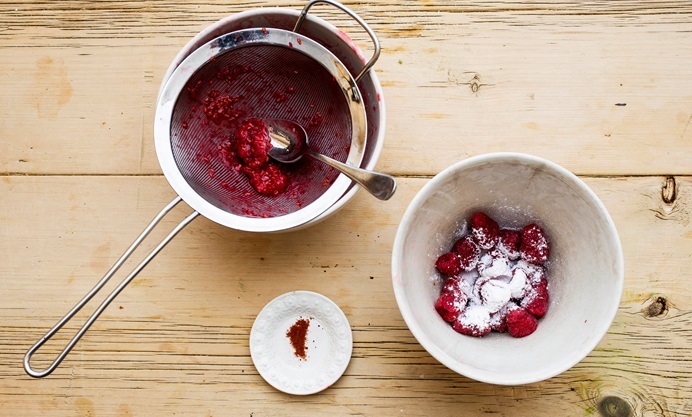 You can make these ahead of a dinner party, just ensure you leave plenty of time for them to defrost before the meal. 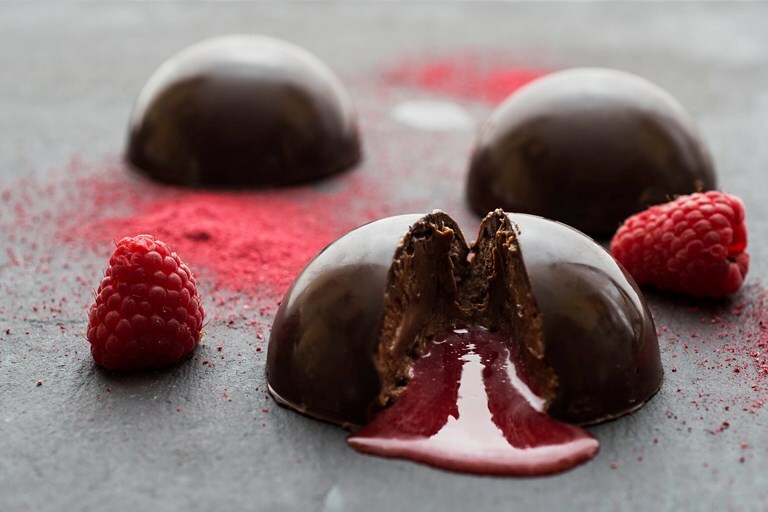 These beautiful chocolate mousse domes encase a punchy chocolate mousse with a liquid raspberry coulis centre. If you want to use Willie’s Cacao 100% cacao cylinders instead of the dark chocolate, use 180g of 100% cacao and a total of 180g sugar to make the mousse so that the balance of sweetness and bitterness is kept in check. Willie Harcourt-Cooze is an artisan chocolate producer and owns a cacao farm in Venezuela.